Needle holders with locking forceps that used to hold a suture needle when installing stitches or closing a surgical incision. Forceps are used according to the use and tissue structure. Maximum of the all the forceps are available as non-toothed and toothed forceps. The forceps are used for dissecting the tissue and to hold the tissue, skin & other viscera. Toothed forceps used on connective tissue and skin. Non-toothed forceps used to hold the smooth mucous membrane. The forceps used to hold the layers such as serosa, seromuscular layers, mucosa etc during anastomosis. Fine forceps used to hold the small bleeding vessels and that can be cauterized using bipolar or monopolar diathermy. 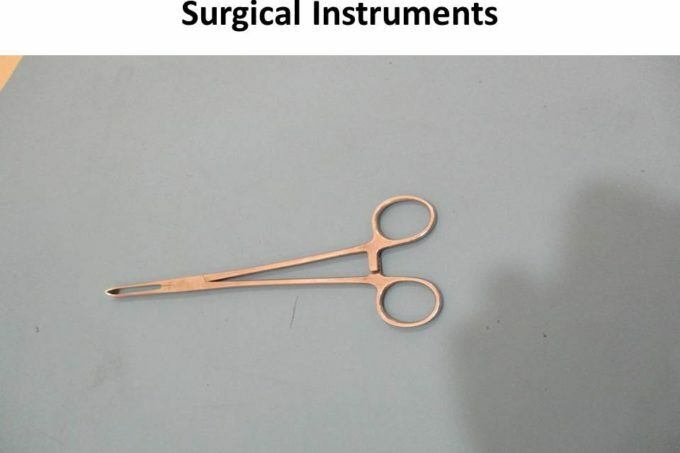 Bayonet forceps mainly used in Neurosurgery and Neurospine surgery for better visualization and approach to the Reach the specific target tissue. Used in the dissection of the vessel like veins and artery, categorized as vascular forceps. These forceps specially designed to prevent the puncture or damage of vascular structure. This provides the good support to hold the blood vessels without damage to the vessels.